I’ve been working on improving my photography skills, so when I saw this week’s photo challenge, I thought it would be a perfect time to share these updates. Your replys are appreciated. Also, these photos are available for purchase here. Both pictures were taken at Okefenokee Swamp, in Georgia. 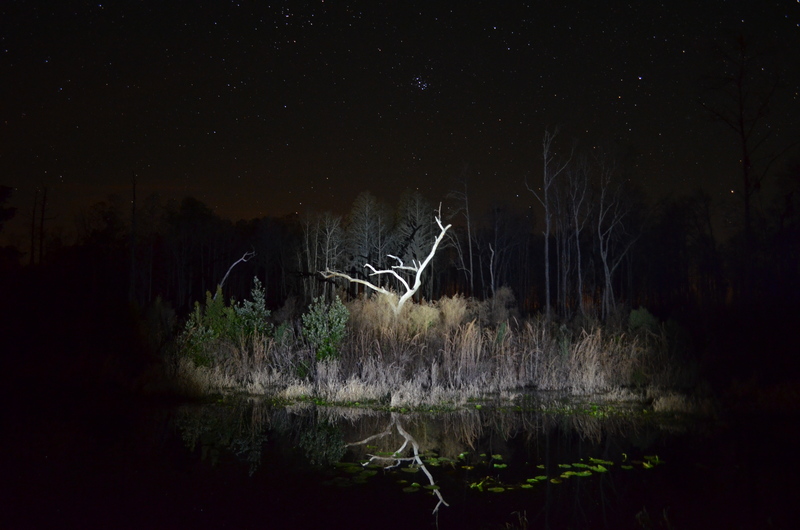 Taken around midnight using a flashlight to highlight the remains of a tree after the 20011 swamp fire. Erie reflection makes swamp feel more mysterious. wow! spooky and serene at the same time. 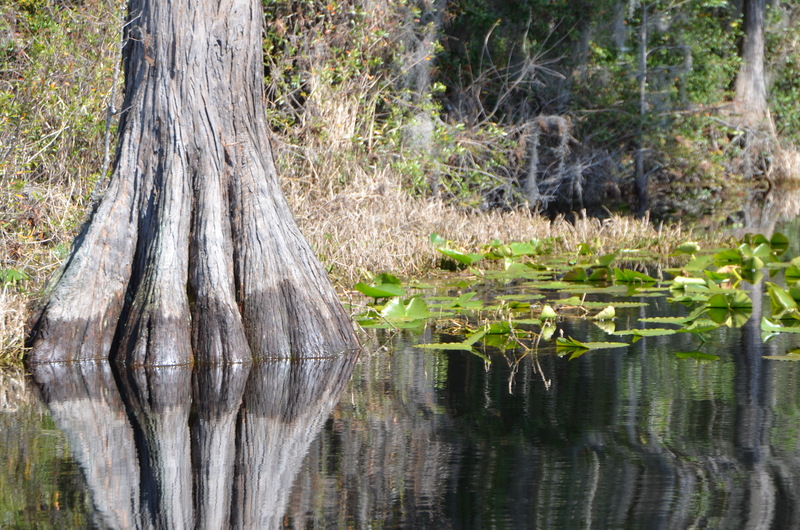 I can see gators there somewhere under the water…. :) the other pic looks like a large elephant foot!! ha! love it. I thought the same thing about the cypress tree. I have a couple pics of aligators too. Very evocative of place. Wonderful photos Diana. I too am trying to improve my photography. I learn so much by looking at the great work of others. Thank you for sharing these. Thank you, Nancy. I’ve been watching your pictures too, great work.